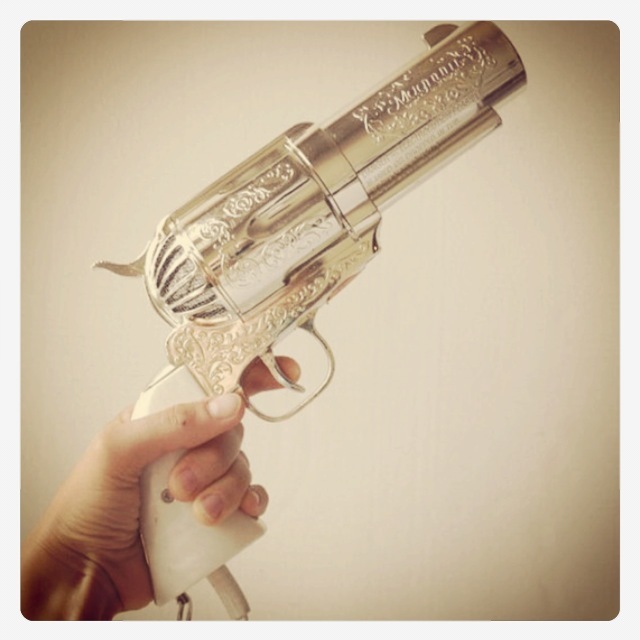 A hair dryer that will blow you away! We are locked and loaded, baby! In 1981 you were able to buy hair dryers shaped as a gun. Yes, it’s true… have I lead you wrong thus far? The 357. Magnum Gun Hair Dryer by Jerdon Industries are the people responsible for making sure every cowgirl in Texas had bigger than life hair that brought them closer to God… or just simply made their waist appear smaller. ha ha. These bad boys even came with their own holster! If you’re wanting to find one of these for yourself it’s going to cost you a pretty penny… that is if you can even find one! One sold on Etsy.com last year for $275!! What’s the craziest hair dryer you’ve ever seen? ?